I found a couple of Swarovski Limited Edition ducks on ebay. They appear to be pink, and most all the advertisements I have seen indicate they were produced in conjunction with Breast Cancer Awareness. They are in the “Happy Ducks” packaging. Here are links to a couple of them. When I have more information about them, I’ll be sure to pass it on! 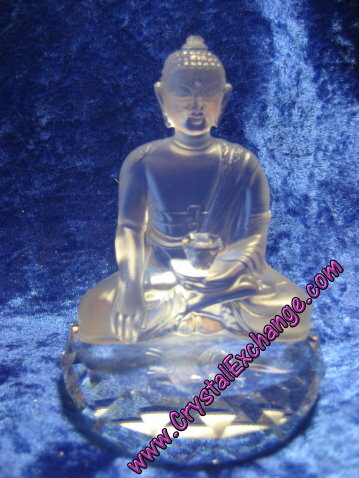 Rare Swarovski Buddha on Ebay! The rare Swarovski Buddha is on ebay now! The Swarovski Buddha was originally available for a donation of about $2000. It was a Limited Edition figurine commissioned for production by Swarovski with a maximum of 10,000 produced. This ebay auction has an opening bid of $775, so it seems likely to sell. Check out the auction for the Swarovski Buddha that ends on November 3, 2010. Good luck to all who bid! This video clip on YouTube, posted by Swarovski, features the 2009 Swarovski Lovlots theme House of Cats. Among these cute felines, the cat friends are: Camille, Diane, Emily, Ines, Pierre & Marie, and Limited Edition Theo. This Swarovski video on YouTube is the features the following Swarovski Lovlots: Gang of Dogs. This video clip, posted by Swarovski, is called the Love Loop. Isn’t the Swarovski Lovlots video cute?! Rare Swarovski Paperweight Sold on Ebay! Swarovski Paperweights were available in a number of shapes, sizes, and colors. Some of the Swarovski Paperweights are rare, or at a minimum, difficult to find. 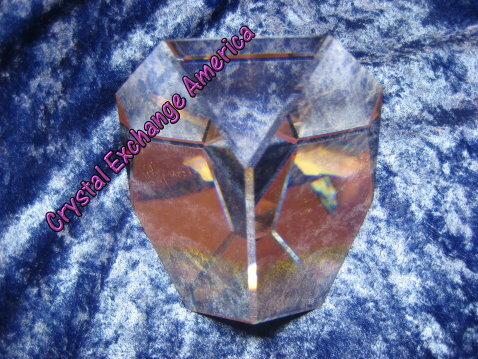 Crystal Exchange America recently sold a Swarovski Paperweight on ebay for a very attractive price! Check out this completed auction for the rare Swarovski Giant Octron! Enjoy the updated Swarovski News at the Kristall Buzz by Crystal Exchange America.